This post is brought to you by Lyfeline Corporation. All opinions are mine. This really is a great parenting app! Even as a parent of three children, I still worry sometimes if my children are developmentally where they need to be, especially when my children are babies! 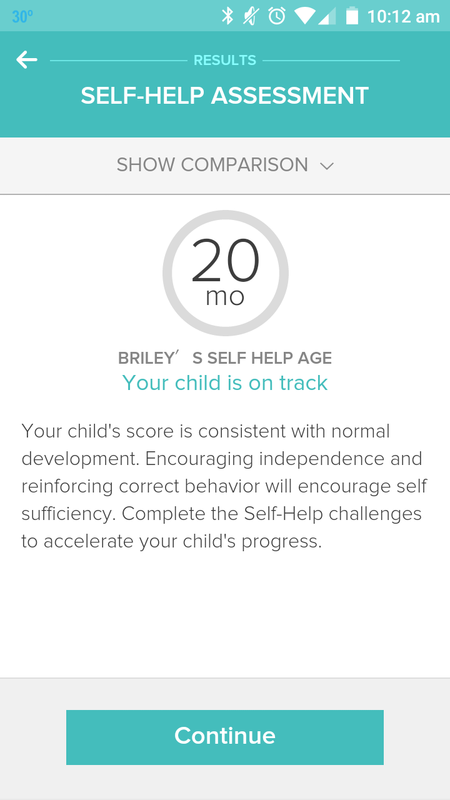 If you are like me and need a little reassurance or help knowing how your baby is doing in their development, then you have got to check out one of my new favorite apps, Milestones! I have been on it every day since I downloaded it learning new things about my little guy, getting advice how I can help him develop appropriately and learning lots of great parenting tips! 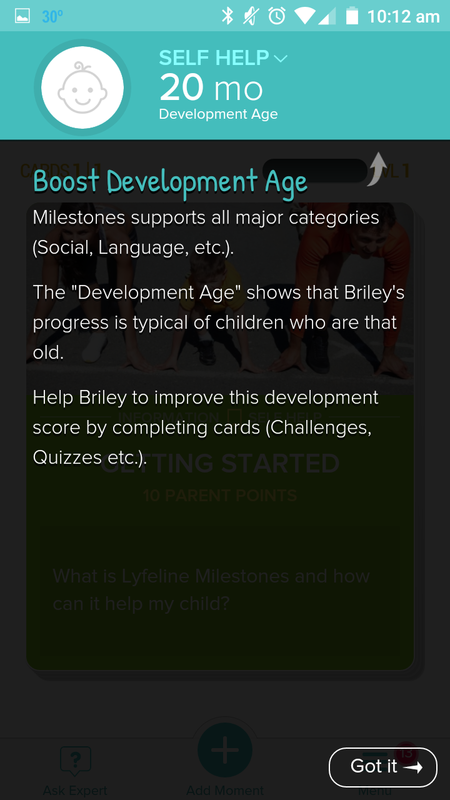 Milestones provides a first ever opportunity for parents to track their child’s development directly on a smartphone. Working with researchers and pediatricians from Stanford and USCF, Lyfeline Corporation has developed a solution that enables parents to analyze, track, and promote their child's development through their smartphone. In the 2 months since the invite-only soft launch, over 10,000 parents are using Milestones to realize their child’s full potential. Utilizing an American Academy of Pediatrics recommended series of development questions, parents gain an in-depth look into their child’s fine and gross motor, language, social and self-help progression. Parents also receive percentile benchmarking relative to the child’s age group. It was really interesting to see the results for my 19 month old son. He was right on track in some areas, ahead in others and a little behind in areas like verbal and small motor. But what's great is that the app then gives me great activities and tips on how to help my son develop more in these areas. Utilizing assessment results, Milestones creates a targeted program tailored to the child’s developmental needs and forthcoming milestones. Derived from leading edge research and proven medical practice, parents are provided fun activities and information cards that encourage healthy growth. I really enjoyed learning about and trying the hundreds of fun, age-appropriate activities created by pediatricians that were specifically targeted at promoting healthy development in my son. I have already seen them working and I love watching my son learn new things! There's no denying it, Lyfeline's Milestones is a true parenting game changer. Make sure to head to your app store and check it out! It is FREE and is one of the only pediatrician recommended parenting apps that offers Personalized Child Development Assessments! Find out how your child is doing and even get the tools to help them!